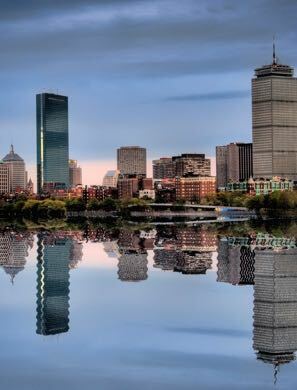 Select Biosciences is pleased to host BioEngineering 2018 at the Wyndham Boston Beacon Hill in the heart of this dynamic city surrounded by world-class research universities, teaching hospitals, and a critical mass of scientists and clinicians. The conference presentations, exhibition, as well as lunches and networking cocktail reception will be held on the 15th Floor of the Hotel featuring stunning views of the Charles River and the Boston skyline. The Wyndham Boston Beacon Hill is located on Blossom Street which is right off Cambridge Street. A 5-minute walk from the MBTA "T" Red Line Charles/MGH Stop. Select Biosciences has negotiated discounted hotel room rates at this venue at the price of US$195.00 per night (State and Local Taxes Extra). This rate includes complimentary high-speed internet in the guest rooms. Click the Green Button above, and then click the Reservations button and proceed to type in dates required. The system will then offer you rooms based on BioEngineering 2018 room block. Select Biosciences has NOT authorized ANY third party company to assist in hotel bookings or reservations for the conference. Please do NOT do business with any third party companies. If in doubt, please contact Jeff Fan immediately to clarify.